Good location. Easy walk to city and gardens. Comfortable bed. Large 2 bedroom/2 bath was clean and had a well-stocked kitchen. Reception was tremendous and very helpful! 15 minute enjoyable walk to free tram in city. The reception staff went out of their way to help. The apartment was a really good size and very comfortable. Walking distance to Botnical Gardens, NGV and city. The staff were exceptional, we've never received such excellent service. Nothing was too much trouble for the girls, they went out of their way to make our stay fabulous. Clean, neat and nice apartment. Friendly and helpful staff was a bonus. Easy to book and organise. Great location for where I needed to go with convenience stores and food nearby. 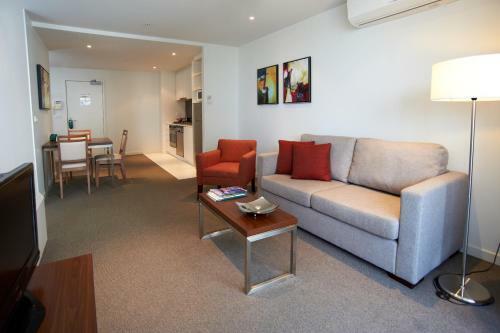 Comfortable, great location and easily accessible from main roads. Everything was great. Staff went above and beyond to upgrade us to an apartment with a view of the city and to also give us a staff car park for our larger van. Lock in a great price for Quest on Dorcas – rated 8.9 by recent guests! Quest on Dorcas This rating is a reflection of how the property compares to the industry standard when it comes to price, facilities and services available. It's based on a self-evaluation by the property. Use this rating to help choose your stay! 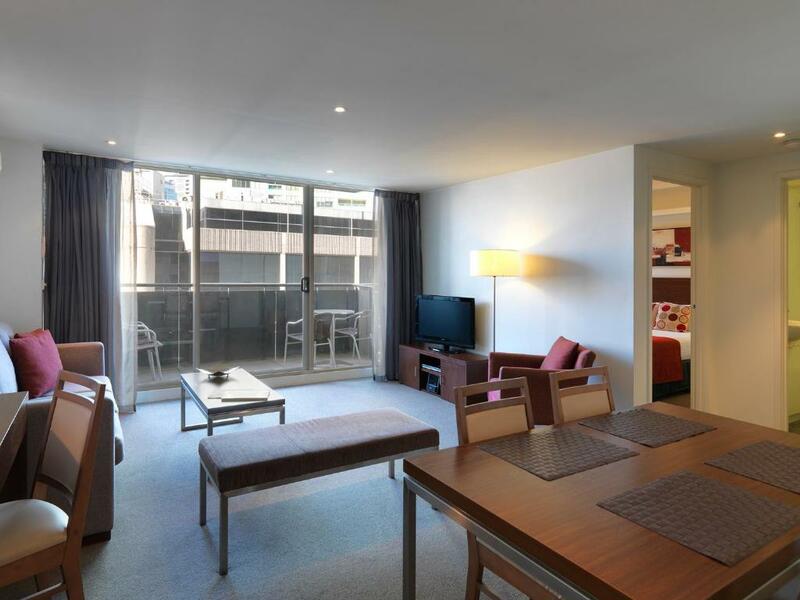 Offering a private balcony, flat-screen cable TV and an iPod dock, Quest on Dorcas Apartments is only 10 minutes’ walk from the National Gallery of Victoria, and 5 minutes’ drive from Crown Casino. Melbourne Cricket Ground is a 10-minute drive, and Melbourne Airport is a 25-minute drive away. The air-conditioned apartments have laundry facilities and a kitchen with a dishwasher and microwave. Each apartment has a spacious lounge with a DVD player. Guests have access to a fitness center, a liquor store, a cafe and covered parking. Free WiFi up to 500MB a day is included. Additional usage is subject to additional charges. Nashi Café is open from Monday to Friday for breakfast, lunch and coffee. It offers freshly-prepared sandwiches, baguettes and salads. South Melbourne is a great choice for travelers interested in cafes, culture and food. When would you like to stay at Quest on Dorcas? These refurbished apartments offer both style and comfort, with full kitchen and laundry facilities, separate living area and balcony. Private parking is available on site (reservation is needed) and costs AUD 15 per day. This spacious apartment features a separate study and private balcony. Spacious and modern apartment with a full kitchen, large lounge and dining area, separate laundry, bathroom with shower over bath, 2 LCD TVs, DVD player, stereo system and balcony. This spacious apartment features 2 bathrooms and a private balcony. 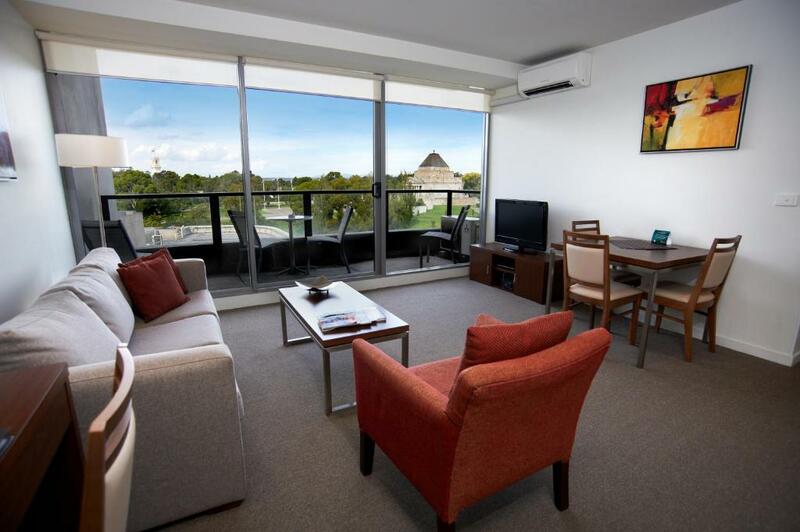 This spacious apartment features a view of either the city or the Shrine of Remembrance memorial, 2 bathrooms and a private balcony. Quest on Dorcas is a brilliantly convenient location for all travellers with a short walk in any direction landing guests at a plethora of dining and entertainment options; - The Shrine of Remembrance is at your doorstep, surrounded by the beautiful Botanic Gardens and The Tan Track. - Shoppers take delight with a short walk or tram ride to Melbourne CBD or Chapel Street for endless shopping adventures. - South Melbourne Market stalls provide shopping opportunities for gifts and souvenirs whilst the tasty treats on offer can almost be smelt from your apartment. - Foodies need not leave the apartment with a great range of chargeback and delivery options from local restaurants are offered at Quest on Dorcas. A stroll down to Clarendon Street to experience the tasty opportunities South Melbourne has on offer is a must. From pub dining and takeaway to fine dining, there is something for every diner’s taste and budget – ask reception for a recommendation. 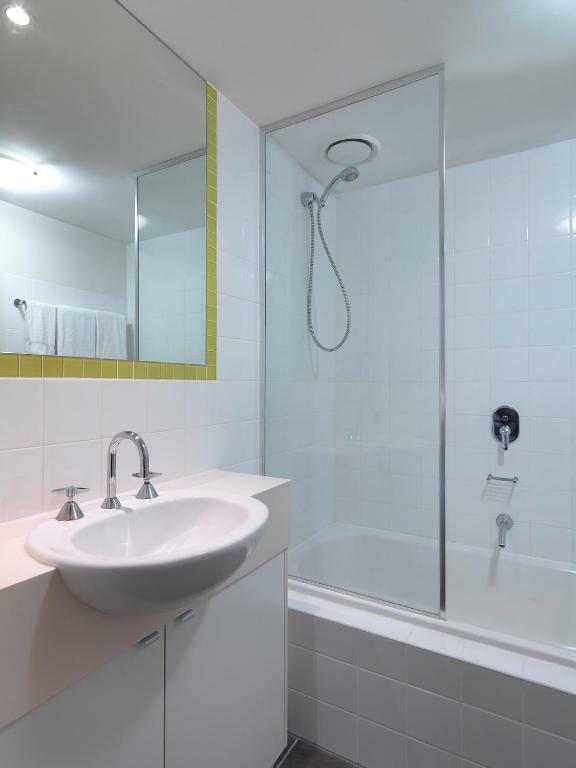 - Though we have a wonderfully equipped Gymnasium onsite at Quest on Dorcas, Albert Park is just around the corner and is the home of the Melbourne Sports and Aquatic Centre – our closest swimming pool. Area Info – This neighborhood is a great choice for travelers interested in cafes, culture and food – Check location Excellent location – show map Guests loved walking around the neighborhood! House Rules Quest on Dorcas takes special requests – add in the next step! A AUD300 damage deposit is required on arrival (around USD212.78). This deposit will be fully refunded 7 days after check-out, as long as there isn't any damage to the property. All children under 6 years are charged AUD 40 per night for extra beds. Quest on Dorcas accepts these cards and reserves the right to temporarily hold an amount prior to arrival. Please note that a AUD 300 credit card pre-authorization is required upon check in to cover any incidental charges. 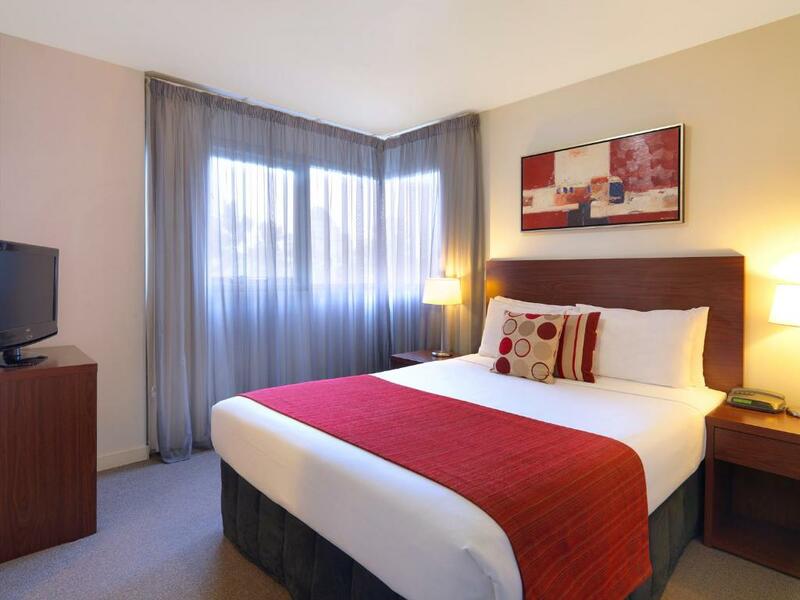 Guests staying at the hotel on 31 December or 1 January require a AUD 1000 credit card pre-authorization. Please inform Quest on Dorcas of your expected arrival time in advance. You can use the Special Requests box when booking, or contact the property directly using the contact details in your confirmation. A damage deposit of AUD 300 is required on arrival. That's about 212.78USD. This will be collected by credit card. You should be reimbursed within 7 days of check-out. Your deposit will be refunded in full by credit card, subject to an inspection of the property. Facilities are a little dated. Construction outside our window. No views although I booked a park view. The car park was extremely tight. Reception staff were rude, and failed to accurately explain how the car park worked. The shower leaked and didn’t work properly. The noise level from nearby apartments was extreme, and continued until 4am. We couldn't find a chopping board in the kitchen! great location for us. right on St Kilda Rd tram stop. Big apartment with more space than we needed! Air conditioning was old and barely working. It made a horrible noise all night. Even at full function the rooms stayed at 28 degrees. The shower head was old and sprayed everywhere. The windows were filthy with hand prints and really took away from the view. Check-in & out was quick and straightforward. Rooms were clean and well appointed, bed was comfortable. Kitchen facilities were good. Lovely and clean. Great location. Friendly service, hotel has discounts of food and places. Great clean rooms and comfortable beds. Was great stay for me. The room had no view and was dark and gloomy. The worst room I have stayed in in this part of town. I chosen this place in the past because the rooms have been excellent. I will never stay here again if i get this room or the one above it. Great location and has always been problem free accommodation. This is why I have kept coming back!